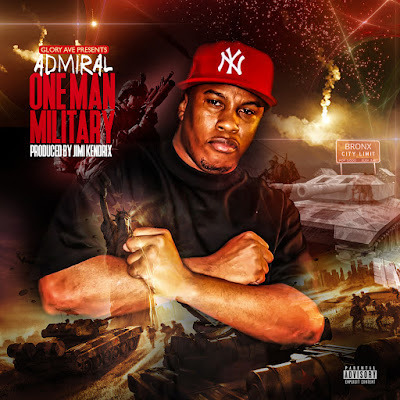 THE LEAD SINGLE FROM GLORY AVE FRONT MAN ADMIRAL'S HIGHLY ANTICIPATED ALBUM. DECORATED A SURVIVORS STORY. ON THIS RECORD ADMIRAL BRINGS TAKES YOU ON A VISUAL RIDE THROUGH HIS EARLY BEGINNINGS TO SET THE TABLE FOR HIS MOST COMPLETE PROJECT TO DATE. ON THIS TRACK HIS HE IS ACCOMPANIED BY QUEENS BASED MULTI AWARD WINNING PRODUCER JIMI KENDRIX WHO HAS WORKED WITH THE LIKES OF JAY-Z, 2PAC, 50 CENT, JARULE AND COUNTLESS OTHERS. ENJOY!